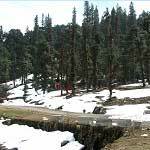 Chopta Trek Itinerary| Detailed chopta trek itinerary. 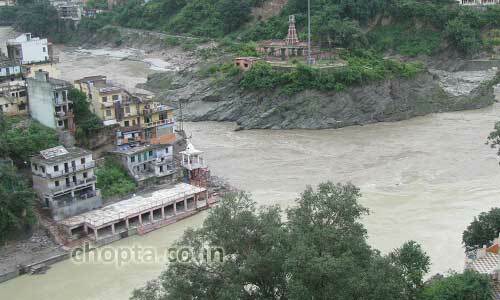 Everyone in the group should meet at Haridwar as it is the starting point for our journey to Chopta Trek. We will be meeting at a predetermined place. If you are reaching at Haridwar till evening then we can arrange hotel for you in Haridwar otherwise if you don’t want to stay a night in Haridwar you can join us early morning next day at about 6 am at that predetermined place because we have to move earlier for Sari Village so that we can reach there up to 2-3pm. From Haridwar we will be moving in an appropriate vehicle to Sari Village. On the way we will be seeing Devprayag and Rudraprayag and a place beautiful place called Ukhimath and it has a great importance in Uttrakhand as it is said that the divinity of Kedarnath moves here in the winters. Sari Village the base camp for trek to Deoria tal. In our journey to Sari Village from Haridwar, we will be moving along Mandakini river after Deoprayag and before that along Alaknanda River. On the way there will be a lots of natural beauty you can see. After reaching Sari Village our next destination is Deoria Tal. We’ll be doing night stay in Sari Village only. The night will be full of stars, I assure you that the density of stars make the sky so beautiful in night so that it will make you forget everything. 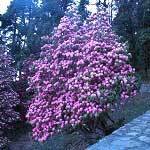 We will start trekking towards Deoria Tal early in the morning. Earlier you start better it is as you can see some golden color peaks from Deoria Tal. Breakfast and Lunch can be served at Deoria Tal. At Deoria Tal we will be camping and enjoy ourselves. 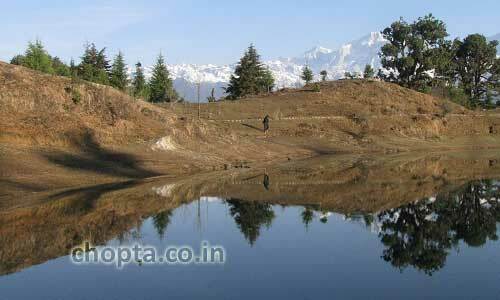 Deoria Tal is a beautiful destination as we can see the shadows of Chaukhamba Peaks in the clear water of Deoria Tal. 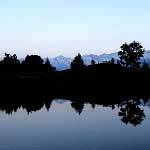 Night stay at camps in Deoria Tal. Deoria Tal near Sari Village, You can see snow clad peaks from here and their reflection in the lake. At Day-3 we will be starting from Sari Village again by a car and reach Chopta in 2-3 hours leisurely by stopping the vehicle and enjoy nature. 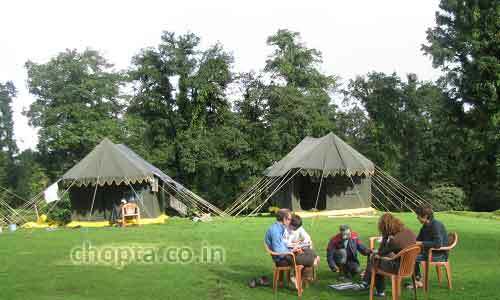 Camping at Chopta, Chopta is good place for camping, if you really want to enjoy the nature you should camp here. 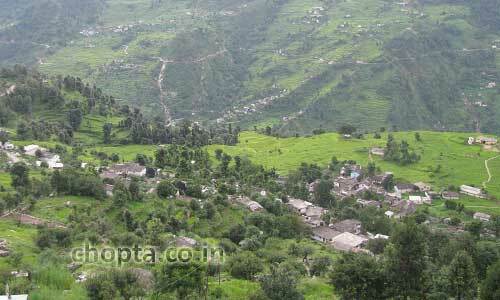 Night stay can be back to Sari village or in tents at Chopta. Start early after breakfast for trek to Tungnath Temple. The trek to Tungnath starts from Chopta and it takes almost 2-3 hours one side if you trek slowly while enjoying nature. 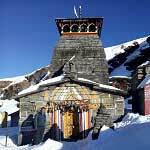 After you reach Tungnath temple you can visit temple for a while and move on to Chandrashila Peak. 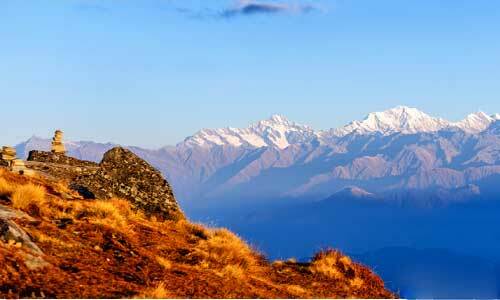 Chandrashila peak is only one kilometer ahead. You can see 180 degree view of snow clad peaks of Himalayas from here. In the evening reach back to Sari village. 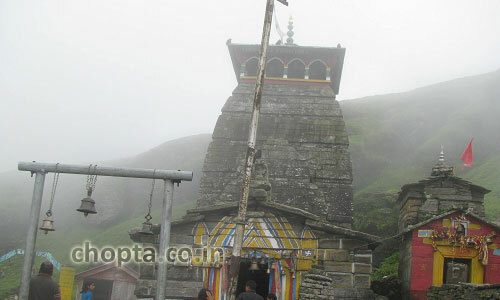 Tungnath temple, It is the third Kedar and the height temple of lord Shiva in the world. Chandrashila Peak and snow clad peaks in the back. This itinerary is indicative only and not an offer. Actual itinerary may be different. Kindly ask for detailed itinerary and read all terms and conditions before booking for the tour with us.